ResearchAndMarkets.com reports the rising penetration of TPMS is one of the key factors anticipated to boost the heavy-duty vehicle tires market growth in the forthcoming years. Fleet managers are extensively using these systems for determining tire health and enhanced safety. These managers are increasingly demanding truck and bus tires equipped with the required sensors for ascertaining information on tire health and avoiding vehicle breakdown. In addition, governments across the globe have also started implementing stringent safety regulations concerning the development and sales of these systems in heavy-duty tires used in fleet vehicles. Such regulations will further foster the heavy-duty vehicle tires market growth in the forthcoming years. One of the growth drivers of the global heavy-duty vehicle tires market is the rising demand for buses and coaches. The growing adoption of bus transportation is expected to drive the demand for heavy-duty vehicle tires. One of the challenges in the growth of the global heavy-duty vehicle tires market is the overloading of heavy-duty trucks. 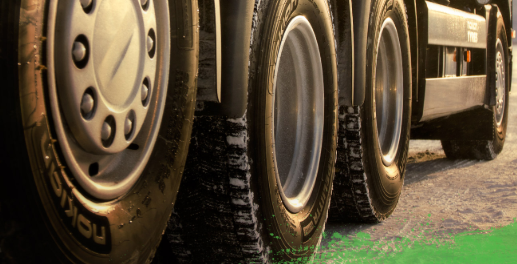 Increased instances of overloading of heavy-duty trucks will pose a major challenge to the life and effectiveness of heavy-duty vehicle tires. The market appears to be moderately concentrated and with the presence of a few market players. Many vendors in the tire manufacturing industry have started using advanced tire manufacturing techniques and processes that can lower carbon emission.